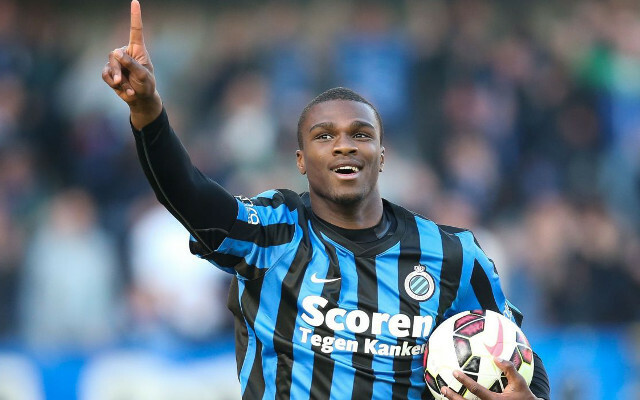 Manchester United will have to fend off interest from Everton and Borussia Dortmund if they want to sign the highly rated Club Brugge wonderkid Obbi Oulare. The Belgian is an in-demand youngster – with his agent, Stijn Haeldermans, recently confirming that “big teams” from England and Germany are keeping an eye on his client. “I am aware that the scouts of the top teams in England and Germany are watching Obbi Oulare,” said Haeldermans, as quoted by the Daily Express. “At this moment, I am in talks with some of the big clubs from these two competitive leagues as he has a very interesting profile,” he added. “He has made very good progress this season and if he continues to develop, he can become a top striker in one of the top leagues in the future. However, his agent has revealed that the Belgium U-21 international should be focused on progression at present, rather than looking for a big money move away from the Jan Breydel Stadium. “At this moment, it is very important for Obbi to focus on the remaining games. Brugge are at the top of the [Championship Play-Off] table and have a very good chance of qualifying for next season’s Champions League. The Daily Mail reported that scouts from Manchester United, Everton, Sunderland, Burnley, Borussia Dortmund and Bayern Leverkusen were sent to watch Oulare score for Club Brugge in a league clash with Anderlecht on April 19th. Now, according to the Express, the Red Devils, Everton and Dortmund are the three leading the chase for his signature. The teenager is a product of the youth setup at Lille, and it’s no wonder interest is high given this is the academy responsible for nurturing the recently crowned PFA Player of the Year Eden Hazard, as well as Liverpool forward Divock Origi.